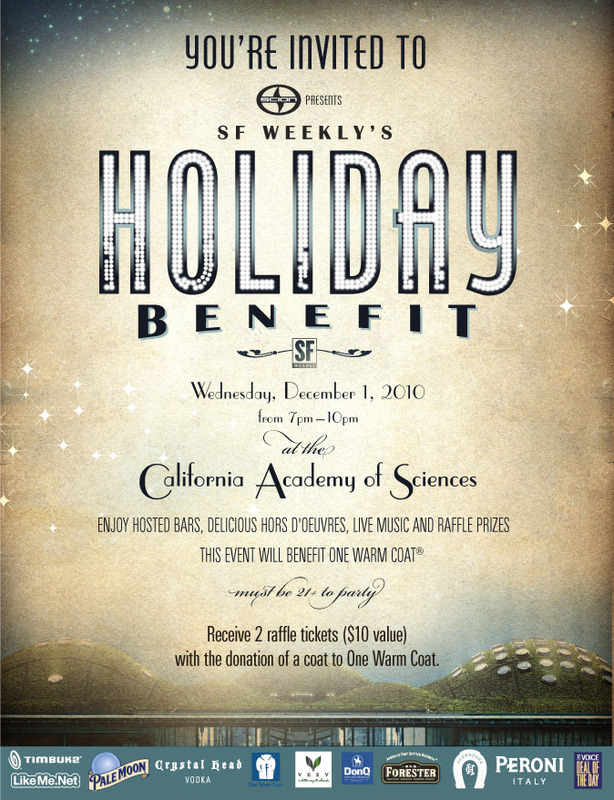 From there, with the help of one of the Account Executives, we were able to reserve the California Academy of Sciences as our venue for the event. This is such an amazing place to host an event as you really do not need to decorate much for the exhibits and the animals speak for themselves! All we had to bring in was the food, drinks, DJ, a raffle and for a little-added fun, a 1920s themed photo booth area. The event itself went great with delicious food from Casa Sanchez, Goat Hill Pizza, Sugar Cafe, Mission Minis and We Olive, wines from Rosenblum Cellars and Lange Twins Winery, plenty of alcohol from DonQ Rum, Herradura Tequila, VeeV Acai Liqueur, Pama Liqueur, Crystal Head Vodka, Miller/Coors, and Forester Bourbon. Of course, our charity for this event was One Warm Coat, and with over 700 people in attendance at this event, we collected over 1000 donated coats! It was a great success!